Eating the right foods, making nutritious recipes, and managing your time in the kitchen doesn't have to be a struggle. Follow this simple guide to make healthy eating easy! We get it: Finding, cooking, and eating fitness-friendly foods can be time-consuming and expensive. Healthy food also has the reputation of being tasteless and boring. With all these healthy-eating hardships, it's no wonder so many people struggle to meet their health and fitness goals! We want you to know, however, that fueling your body with good food is possible. And, once you get the hang of it, can be downright easy! We have all the tools that can help you figure out the best ways to eat the right food in the right amounts for your goals—whether you want to lose a few pounds, or gain 20. Yes, it'll take a little work on your part, but eating well will soon become second nature. If you do happen to revert back to your old ways—it happens to the best of us—you'll quickly realize you have more energy and perform better since fine-tuning your nutrition. It will be an eye-opening confirmation in which you ask yourself, "Why haven't I always eaten like this?" Commit to making better food choices. Prioritize time to prepare food. Bring healthy food choices with you to school and work. Buy food you know you like. Before we get into the nitty-gritty of preparing meals and healthy recipes, it's important to know why eating healthy food matters. The most important reason is that eating healthy food is just plain good for you. Balanced meals that contain carbs, fats, protein, and lots of vitamins and minerals will make your body work well and feel great. In essence, your body works best when it's fueled with good food. For your physique goals, it's vital to realize that what you put into your body is every bit as important (if not more) as what you do in the gym. You can work out hard, but if you eat too many calories, too few calories, or the wrong types of food, your goals will be ultraslow in coming, if at all. Bottom line: Your nutrition will make those changes you want to see in your body. Here's the deal: If you want to improve your health, physique, or performance, you have to make your goals a priority. That means the football game on television or guys' night out may have to take a back seat. (Don't worry, when you get better at making food at home, you can fit those things back in.) Really, if you can commit to eating healthy, you've already accomplished the most difficult task. If you can't make that commitment, you're just not ready. Meal preparation can be daunting. Not everyone wants to carry around a bag full of Tupperware wherever they go. Contrary to popular belief, however, you don't have to prepare all of your meals for the week in one day. And, really, you don't have to prepare your meals at all. To get started, all you have to do is think about what type of food you're eating. A good meal contains all three macronutrients: protein, carbs, and fat. How much you eat of each depends on your body, your goal, your gender, your age, and your taste. In general, we suggest eating about one gram of protein per pound of body weight, or about 20-30 grams of protein per meal. Once you have your protein figured out, fill in your carbs and fats depending on how you like to eat. Then you can decide how you want to break up those macronutrients into meals. If you really don't have the time to prep your meals for the week, you don't have to. Instead, make extra dinner and pack it for lunch the next day. Your healthy dinner should include 20-30 grams of protein, some vegetables, and some carbs like rice or potatoes. Before you go to work, eat a healthy breakfast that includes protein. Try a homemade egg burrito or something else that will keep you full for at least three hours. Along with your lunch, pack a scoop of protein powder and an apple for a snack. That's really all the prep you need to do. If you exercise after work, have an apple and a protein shake about 1-2 hours before you work out. When you get home, have a healthy dinner. Before bed, grab a cup of Greek yogurt and some berries. If you start to feel like you want to spend more time preparing your meals, then go for it! You can do a little more work and prepare your meals up to 2-3 days in advance. By cooking in bulk, you can pack and store meals for an entire week, which all but eliminates the possibility of stopping at the drive-thru for lunch or dinner! To start, choose healthy recipes to build a full day of meals. Do this before hitting the grocery store. Plan a full day of meals that you can spread across the week so you can buy and cook in bulk. Although that will take some time at first, knowing what to cook before you actually have to cook it will save you a lot of time and energy in the long run. Eating healthy doesn't have to cost a fortune. There's absolutely no reason to spend lots of money on fancy food. Get the basics and go from there. Chicken, rice, potatoes, and vegetables don't cost a lot of money. You don't have to buy "organic," or "gluten-free," or "free-range" unless you really want to. It may be tempting to spend money on cheap snacks like Twinkies, but those dollars would be better spent on whole food that will keep you healthy and feeling full, like apples or tomatoes. If you stop spending money on snacks, chips, sodas, or restaurant food, you'll be surprised how much is left over for you to spend on better food at the store. When you go to the store, be smart. Purchase frozen vegetables so you can make them when you want. Buy sale items, check out farmers markets so you can haggle prices, and concentrate on the outside of the grocery store to avoid the overly processed foods found in the middle aisles. Limit your purchases to dairy, meat, and produce. Yep, it's going to take a little more work on your part; there's just no getting around that. But with a little extra time, you're going to feel and look a whole lot better. Invest in some protein powder. 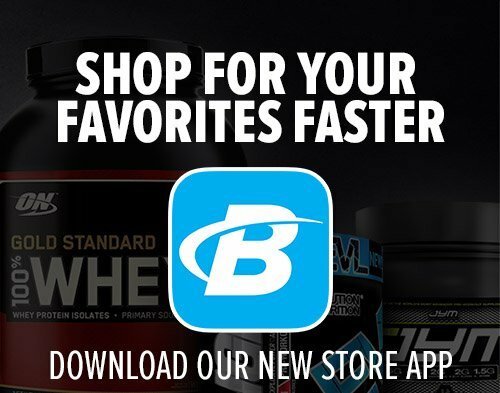 If you do the right shopping, you can turn a jug of protein into snacks that cost a dollar or two per serving. A protein shake can help you get enough protein and will take care of one of those pesky meals that may be difficult to schedule. Throw a scoop into a shaker and you have yourself a meal you can take with you everywhere. Plus, you can bake with it to make delicious protein-packed muffins, pancakes, and other baked goods. Healthy food has the reputation of tasting bland and boring. The reality is that nothing could be further from the truth. Sure, the tilapia, asparagus, and wild rice you're about to enjoy may not have quite the same effect on your taste buds as a cheeseburger and fries, but it's going to have a much better effect on your waistline and shoulders! Healthy eating doesn't mean you have to eat food you don't like. If you don't like broccoli, you don't have to eat it! Purchase and cook food that you enjoy eating. Use spices and flavorings you know you like. There's absolutely no reason to assume a healthy diet means you're suddenly doomed to eat cardboard. If you're not a dieting bodybuilder, there's no reason to eat like one. You may have to try new things—and you should! Your taste buds change over time. You may not like broccoli today, but try it again in a few months. Consider trying foods in different forms, too. Cooked vegetables, for instance, taste much different than when eaten raw. Not a fan of fresh carrots? Try them steamed or roasted! 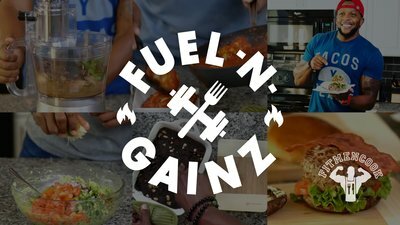 We have tons of recipes that are perfect for any fitness diet; you'll just have to learn how to spend some time in the kitchen. Don't stress; we're not asking you to become a chef overnight. There are many quick-and-easy ways to cook and eat healthy food without having to know much about cooking. Although you may not think so now, making good food can actually be fun. If you have kids, turn food preparation into a family activity. The more time you invest in learning how to make food and helping your family eat well, the better off everyone will be. Have we convinced you that eating healthy really isn't so bad? We hope so! Remember, it's going to take some serious effort on your part in the beginning, but all your work will be well worth it in the end. Now that you have some solutions to your fitness problem, your next step will be to figure out your goal and how many calories you'll need to achieve that goal. Fill out this total daily energy expenditure (TDEE) calculator to learn how many calories you need to maintain your weight right now. Then, check out "I Struggle to Determine How Much or What Food to Eat." If you've already made the commitment to eating healthy, these next steps will help you figure out what foods will best help you reach your goals, no matter what they are! Healthy Recipe Database: Delicious, Healthy Recipes! Ditch the idea that healthy food should only induce a sigh and be tasteless. 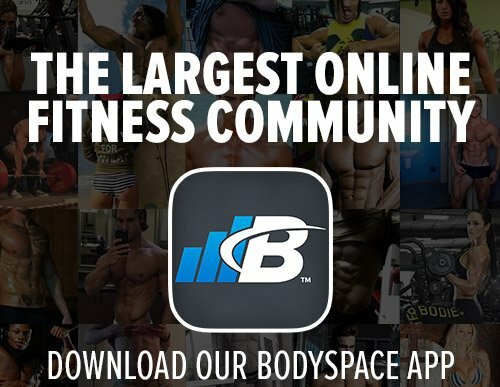 Let the Bodybuilding.com Healthy Recipe Database open your mind and stomach to more lip-smacking, easy muscle-fueling foods while still helping you lose fat or gain muscle. Join this little Texas lady on the front lines in the kitchen as she rustles up these nutritious works of art.